Launched in the second half of 2018, the Moldova Citizenship by Investment Program (MCBI) was developed by the Government of the Republic of Moldova to use the foreign investments generated by the MCBI program to power Moldova’s expansion across all sectors. Moldova is a lovely eastern European country nestled between Ukraine and Romania. It is strategically located, with easy access to Europe, the Middle East, and Asia. As one of Europe’s least-visited countries, Moldova has the unexplored charm of a modern country with a picturesque landscape and a world-renowned wine industry. In this guide we will give you all of the information on the Moldovian citizenship by investment program, including different investment options, application process and requirements, fees and the benefits of having a citizenship from this beautiful and yet overlooked eastern European country. Citizenship in Moldova provides many benefits and opportunities, including enhanced global mobility, wealth management, business expansion, and a good lifestyle. It offers foreign companies and individuals an attractive climate in which to do business, as well as a host of facilities and a range of advantageous state programs. Moldova ranks highly in leading international business-climate rankings. Moldova has one of the most competitive tax systems in the region and has 48 operational tax treaties in place, which safeguard against double taxation with other jurisdictions. If you don’t have a business in Moldova, you don’t have to pay tax on income from sources inside or outside the country. The personal income tax rate is a maximum of 18%, while the corporate tax rate is 12%. The standard rate of VAT is 20%, although some items will qualify for a reduced rate which is set at 8%. b) the total area is 120 m2 or more. The wealth tax rate is 0.8% of the taxable base. Moldova currently offers a single way pathway to citizenship. Applicants must make an economic investment in the country through the Public Sustainable Development Fund of Moldova (Public Investment Fund). 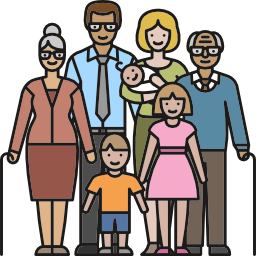 The minimum, non-refundable contribution to the Public Investment Fund depends on the size of your family. *Advisory fees are also applicable, and they cover HNWI managing the entire application process on your behalf. In addition to the financial requirements, there are several other conditions that must be met in order to qualify for Moldovan citizenship. Moldova has a stringent four-tier due diligence system, which is considered the most thorough in the world. Main applicant must be over 18 years of age. Main applicants and their dependents must have a clean background, with no criminal record. Must be free from fraud, malpractice, financial fraud and indemnities. Must not have been denied a visa from a country with which Moldova has a visa-free agreement. The Moldova Citizenship by Investment program has a straightforward and efficient application process. Successful candidates can secure Moldovan citizenship within approximately 90 days, provided that the due diligence checks are completed without any issues. The key stages of the application process are outlined in detail below. The Moldova Citizenship by Investment program has an efficient, streamlined application process and applies the world’s strictest and most advanced due diligence and vetting system. * Any documents not in English must be accompanied with a legal translation. The Cathedral of Christ's Nativity was built in the 1830s to a Neoclassical design. Currently, this is the main cathedral of the Moldovan Orthodox Church. The Chisinau City Gates which are an entrance to the capital are considered to be the "Eastern visit card''. The whole city can be seen from the top. An aerial view of the capital city of Moldova - Chisinau. 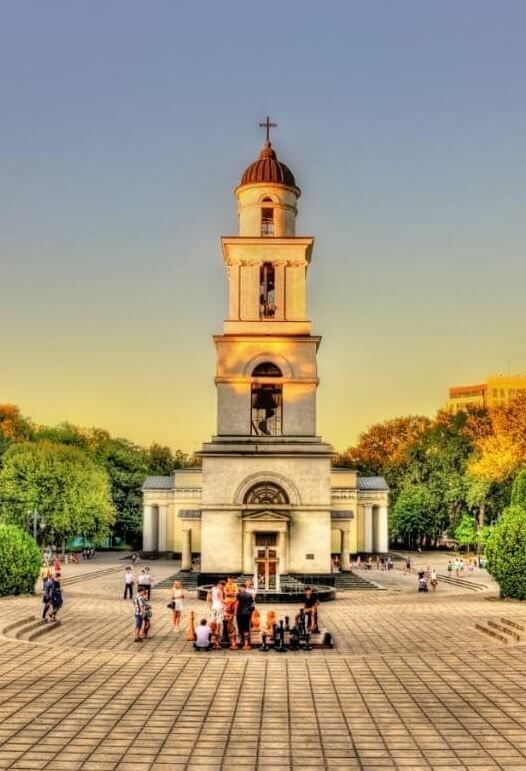 Just by a look at Chisinau, you can say that this is one beautiful city full of nature and green. Finished in 1841, the Triumphal arch of Chisinau is a symbol of the victory of the Russian Empire over the Ottoman Empire. There are few Orthodox monks left who maintain the Eastern Christian Orthodox church, built in 14th century, in Old Orhei. With more than 124,200 tons of wine produced each year, Moldova is the 20th largest wine producing country in the world. Old Orhei is an old Moldovan historical and archeological site with first signs of human activities from 6th-1st centuries B.C. Moldova is a mostly moderate hilly plateau country with many streams and rivers. Although there are no mountains it still full of beautiful places. Take advantage of all the opportunities citizenship by investment in Moldova can provide for your life, business, and family. When it comes to expanding your mobility, freedom and business opportunities, this Balkan beauty offers a wealth of wonderful benefits. If you are interested in learning more about the Moldova Citizenship by Investment program, please contact us today for your free initial consultation.